Super Bonus Bingo – an instant game where the aim is to get as many hits as you can, using random numbers and the ten balls you are allocated. 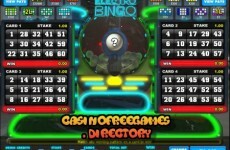 Powered by Microgaming technology, this game combines the classic bingo game of chance with the added twist of bonuses, hits and varying payouts to shake things up and make the game interesting. Great graphics and a clean and easy to use game interface make gameplay as easy as hitting play and sitting back to see how your numbers score. The game is played on a large board displaying the numbers 1 to 80, with a further 80 balls hidden in a secret basket. When the game starts, the aim is to get as many hits as you can to win the prizes as they are allocated on the paytable. Bingo bonus games just don’t get as easy as this! *You can bet on a minimum of two balls, and up to a maximum of ten balls. 20 balls are then drawn at random when a game is started. You may also be able to buy 2 additional bonus balls at the end of the game. This will happen if you receive enough hits to place you in a position marked in white on your corresponding Payout Schedule. 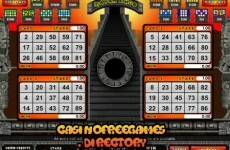 The aim of the game is to build up as many hits as possible on the active Payout Schedule.